Homer is an asymmetric planning hull type of dealie I finished recently. 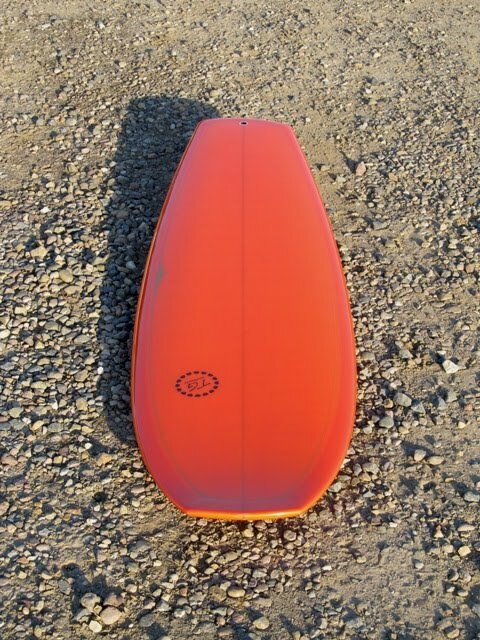 The idea started years ago as a fish with no swallow tail but before I ever got around to working on it the mini-simmons Casper board was introduced and I got sidetracked. I made a few of those then decided I wanted to do that concept but narrower and a bit longer. John Cherry started making his Simm-21 model which really convinced me I wanted to go that way. By the time I got around to getting down to business Carl Ekstrom's asymmetrical boards were being promoted so I had the throw in some of that as well, but try to make mine somewhat unique. 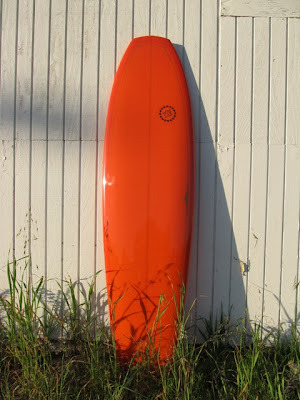 So, this board took a while in the day-dreaming phase. A fish blank doesn’t have enough width to go with a full rounded mini-simmons nose so I opted for a boogie board style to keep the rails more parallel than a typical fish. I used an arc tail template but rotated it around so that the backside rail is shorter. The bamboo fins are from 101 Fin Company and the killer glass job is by Moonlight Glassing of course. As luck would have it, the surf has been craaaaaap ever since I picked it up but I did manage two small wave sessions on it before our current runs of anti-surf weather kicked in. 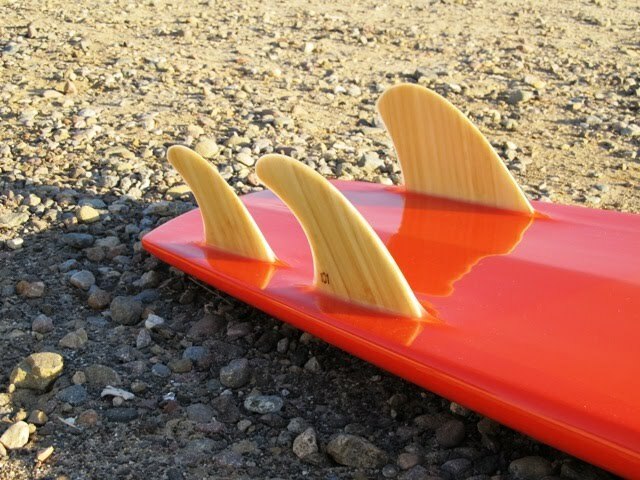 It gave me fits on the first few waves but I finally figured out what I was doing wrong and then got some fun rides. Can’t wait to get it out in some decent waves and really see how it goes. yes, top notch glass work. 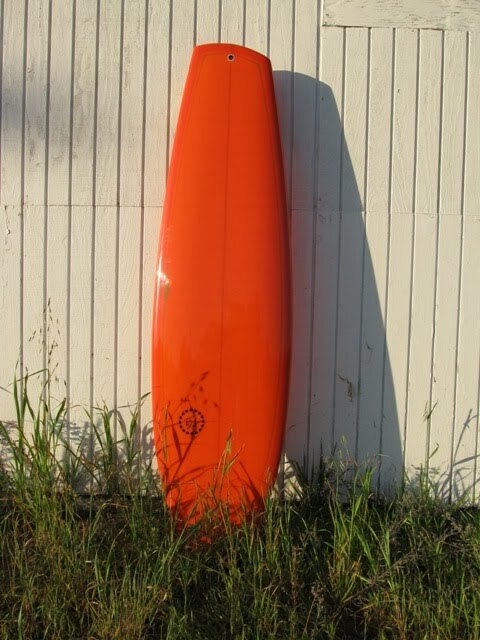 but in the 6 2 by Surfblanks Brazil, etc that nose fit well. 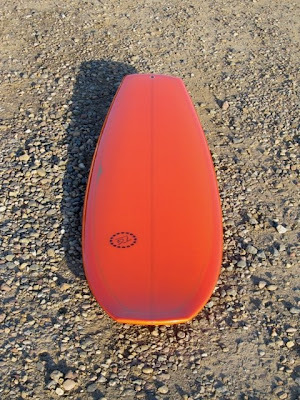 The concept behind asymmetrical boards don t work for me. You ll see. Ride Update: It's super fun! Now taking orders.